1-1 to 2-4 & 2-10 Recorded at AIR Studios, London (1983). Mixed at Genetic Studios, Reading. 2-5 Recorded at Sea Saint Studios, New Orleans (September 1983). 2-6 & 2-7 Recorded at the BBC's Maida Vale Studio 4 (9 June 1983). 2-8 Recorded at AM-Pro Studios, Shepherd's Bush, London (20 January 1982). 2-9 Recorded at Eden Studios, Acton, London (1982). 2-11 to 2-21 Recorded at home. 2-22 to 2-26 Recorded at the University Of Texas, Austin (7 September 1983). CD1 First issued as F-Beat [UK] #XXLP19 & Columbia [US] #38897 (August 1983). 2-3 First issued as the B-side of "Everyday I Write The Book". 2-4 First issued as the B-side of "Let Them All Talk". 2-5 First issued on "Every Man Has A Woman" (by Various Artists). 2-6 & 2-7 First broadcast on the David Jensen Evening Show on BBC Radio One (21 June 1983). 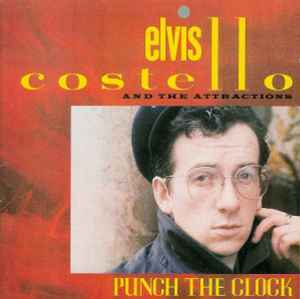 This Reissue (P) 1983, 1994, 1995 & 2003 Elvis Costello. Disc Two, tracks 6 & 7 (P) 1983 BBC, released by arrangement with BBC Music. (C) 2003 Demon Music Group, Ltd. Marketed by Demon Records, a division of the Demon Music Group Ltd., London, W1T 1JU. Barcode: 7 40155 71092 7.